First batch - Hot off the press!!! 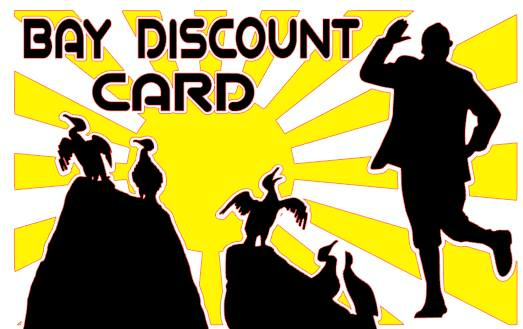 The Bay Discount Card - get your card today and start enjoying all the benefits of discounts at stores and services all over the bay. You will recieve a E-Magazine every month keeping you up to date with all the latest offers available. You can also see a full list of the businesses signed up on the directory on our website. This card is true value for money, for just £5 at this special rate you recieve this amazing discount card, which is valid until November 2017. with savings available at hundreds of shops and businesses throughout the bay area. Less than 50 Pence per month and you receive all the great benefits this card has to offer.